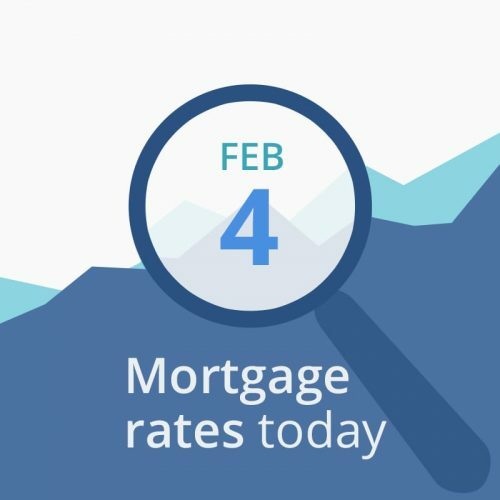 Average mortgage rates today are higher than Friday morning’s, mostly due to a late afternoon drop in bond and mortgage-backed securities prices. Today’s news offers nothing to indicate improvement. The only report we received was Factory Orders, and it came in with a .6 percent drop, much more than the predicted .2 percent drop. That would be good for mortgage rates if this was the latest report (December’s.) However, due to shut-down-related delays, this report is a month late and so has no real effect. The economic data below today’s rate table are not favorable for interest rates, either. Today’s financial data are neutral-to-unfavorable for mortgage rates. Mortgage rates are higher today, and the economic data we have indicate neutral-to-bad news for borrowers in the short run. The reports scheduled for this week are not terribly important, so rates will mostly be driven by daily financial markets and politics.